Do you own a Vacation Home or know someone who does? Click or tap anywhere outside of this message to continue. The vast majority of adults have at one time or another watched at least one Star Wars movie and have in turn introduced it to their kids. Jedi Training Academy - A chance for the kids to get in on some Jedi Training, wear the robes, wield a light-saber and learn some cool techniques. 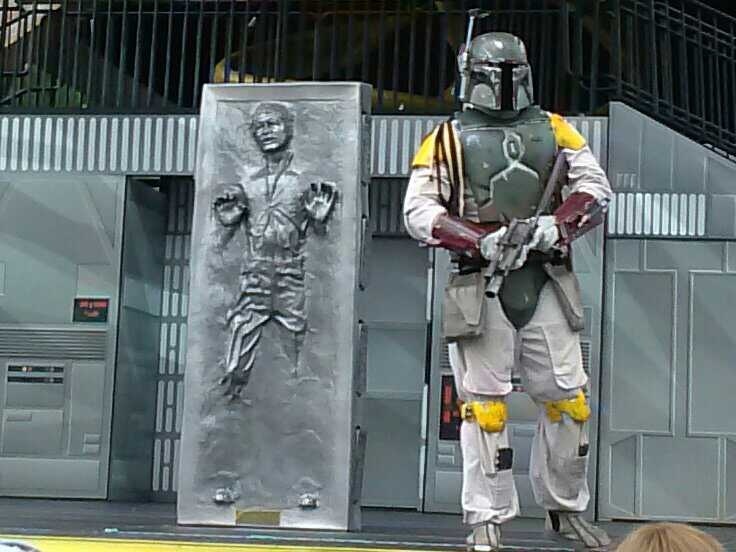 Star Wars parade – features numerous Star Wars characters including plenty of everyone’s favourite…..Storm Troopers! In addition to this there are always character appearances, last year we saw Warwick Davis, who of course played an Ewok in Return of the Jedi and Billy Dee Williams who played Lando. There are preset locations around the park for photo opportunities and at times it will seem like the park is flooded with Storm Troopers, bounty hunters and the occasional appearance by Darth Vader himself which makes for another great photo opportunity. So, if you happen to be visiting Orlando in May or June then visit Hollywood Studios over one of these weekends – I mean who doesn’t love Star Wars?!?! Web Design by Phil Grinham based on template by FCT. Photos by Fotogrph and Hillary Hynes. Logos by Claire Corcoran, mastered by Louise Moyna.